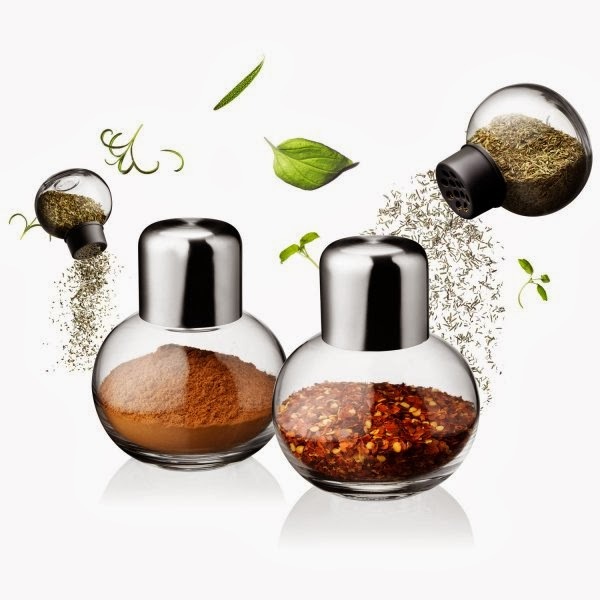 Collection of 'Coolest Spice Shakers and Spice Organizers' for you kitchen from all over the world. 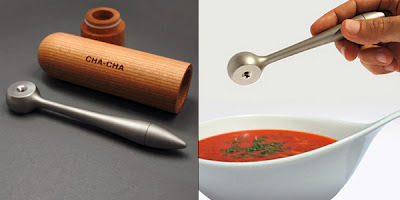 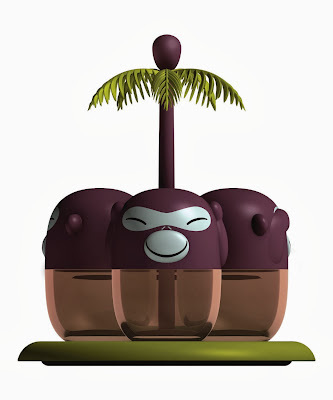 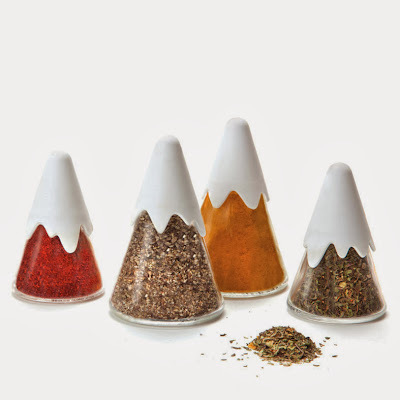 ChaCha: ChaCha is simple, yet functional spice shaker from Emamidesign. Mount Himalaya Spice Containers: The set consists of 4-glass spice containers (2 big and 2 small) shaped like Mount Himalaya with a 'snow-covered' removable shaker top. 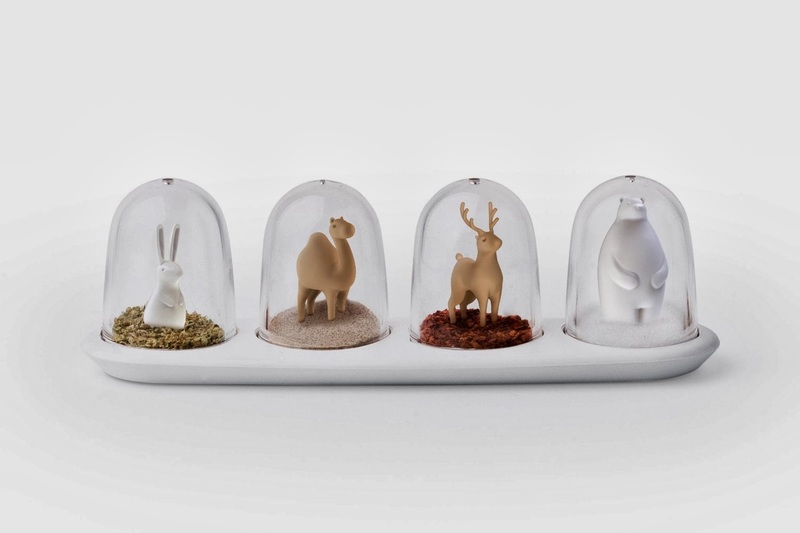 Qualy Animal Parade Spice Shaker Set: The containers in the set come with small holes for salt, sugar, etc, while large hole are for dried herbs. 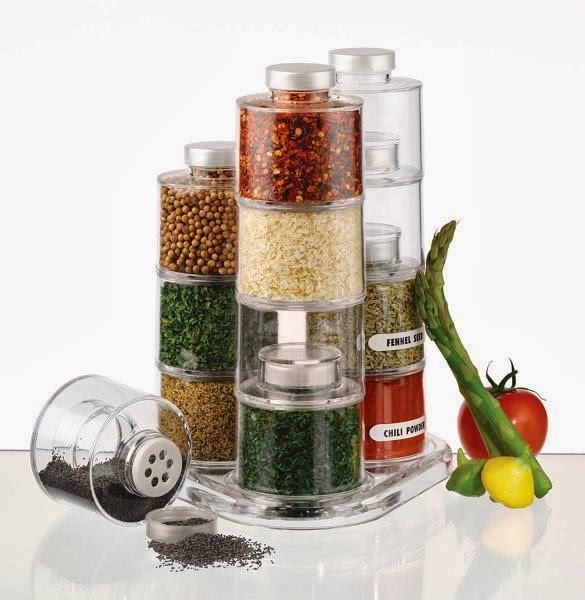 Spice Towers: These come with unique interlocking design that holds bottles securely in place; the bottles measure 3-inch by 3-inch and have 5-ounce capacity; makes a beautiful decorative kitchen display. Alessi Banana Band Spice Holder: The set measures 6 inches wide by 6-1/2 inches high, comes with magnetized bases that keeps the pieces from falling off when moved around. 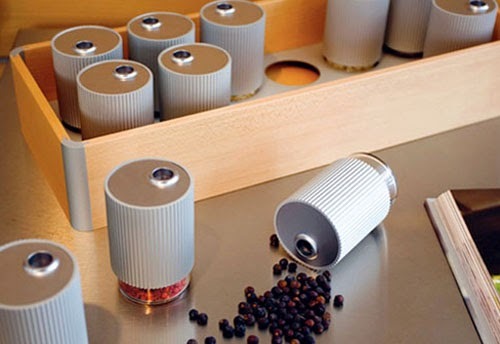 Frieling Spice Box: Organize your spices in an easy to access way with the Frieling spice box. 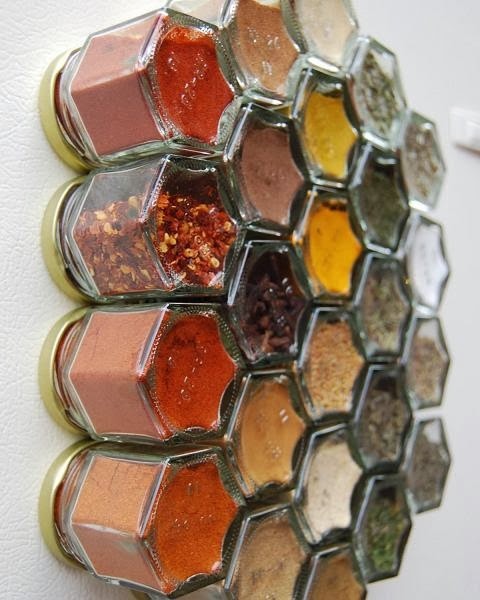 Organic Spice Kit for your Fridge: The kit consists of 24 reusable magnetic jars which can be placed on your fridge. The Hexagonal shaped jars placed together creates a honeycomb pattern. 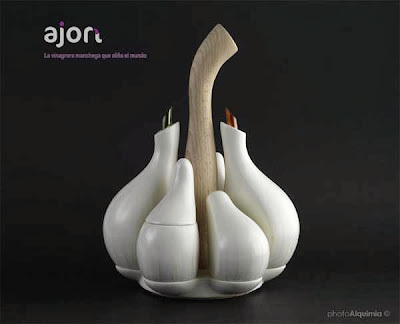 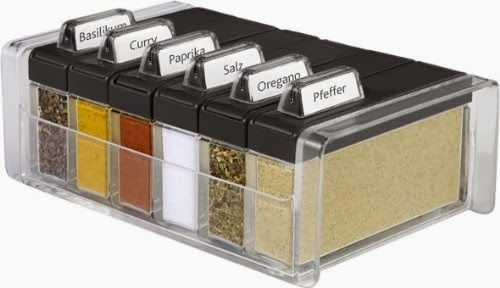 Ajori Spice Organizer: This spice organizer form Ajori takes its inspiration from garlic clove. Menu Spices Shakers Pods: The set consist of two elegant glass jars, while the top cover is made from stainless steel; one pod comes with larger holes for dried herbs while the other comes with smaller holes for salt, sugar, etc. 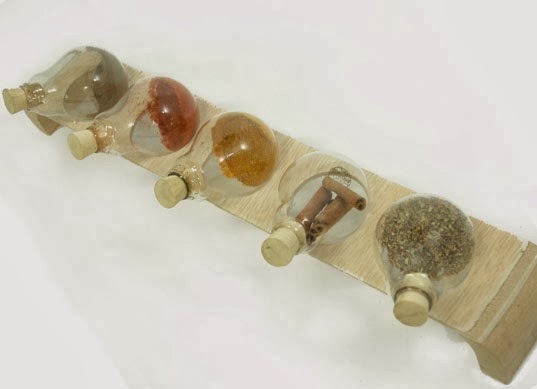 Old Light Bulbs Spice Containers: Annisa Fardan Nabila and Aulia Amanda Santoso used old light bulbs to create these cool spice containers. 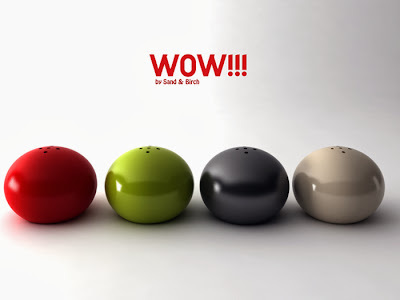 Wow: These round, colorful spice shakers are made from ceramic and comes from Sand and Birch.